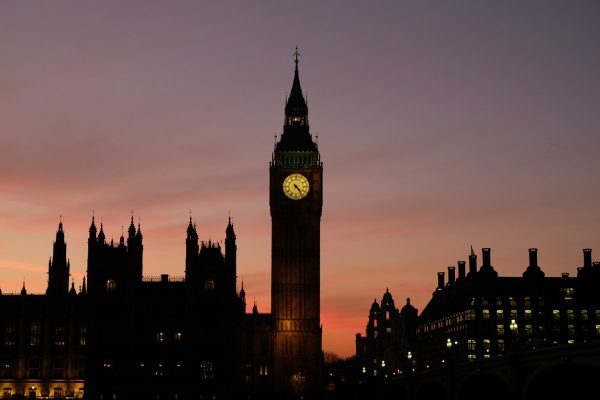 Continuing on with my series of themed weekend guides in London, this week I am showing you how to explore all things Sherlock Holmes and Doctor Who for the fans of these hugely popular British franchises! In this guide I will be looking at places that were used in both the modern television series “Sherlock” as well as the more historical films of Sherlock Holmes starring Robert Downey Jr. and Jude Law; as well as places relating to the original book characters created by Sir Arthur Conan Doyle. 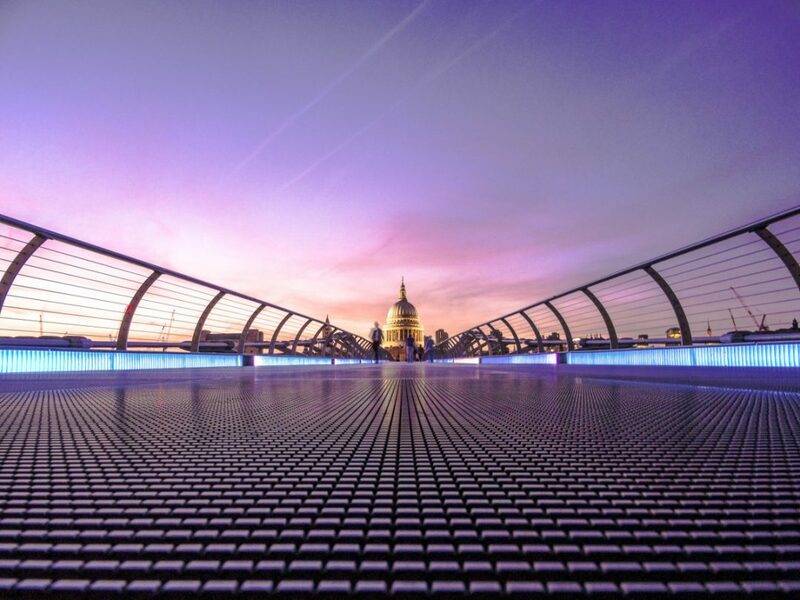 While Cardiff, Wales is the number one place for Doctor Who fans to visit (home of the Doctor Who experience and a LOT of filming locations) there are also many great Doctor Who spots in London itself, since the Doctor does seem rather partial to this city! Follow along for some FANTASTIC geeky fun with your favourite madman in a box and high-functioning sociopath; you’ll be having the time of your life faster than you can say “Allonsy”! Eat: For your first night you could have a traditional British pub meal at THE Sherlock Holmes pub! With traditional British food and a room recreated to look like Holmes’ and Watson’s study and sitting room, it will certainly set the mood for your weekend. Or if you feel like something different you could have tapas in Soho at the same restaurant (Tapas Brindisa) where John and Sherlock wait for the cab in Sherlock’s “A Study in Pink”. The name has changed but it is the actual restaurant where they filmed those scenes! Drink: After dinner go out for drinks at GŎNG Bar in the Shard for some amazing views over London (it’s the highest bar in London). You can pretend the 11th Doctor is still riding his anti-gravity motorbike up the side and drink cocktails inspired by famous film directors. Unfortunately there’s no Guy Ritchie one, but if you’re also into other franchises like X-Men or Star Wars then this will be right up your alley! Have a look at their Director’s Cut menu on the website. Alternatively (or as well as) you could go to Seymour’s Parlour at the Zetter Townhouse in Marylebone. With sumptuous decor that the great consulting detective himself would feel at home in, you can relax before your busy weekend. Eat: Either grab something at your accommodation or nearby; or you could splurge on a lovely breakfast at the Landmark London. This hotel was used for the exterior shots in Sherlock as the hotel where John Watson took Mary to propose and Sherlock pretends to be a waiter. The interior scenes were shot outside of London but the Landmark has a sumptuous breakfast menu in the Winter Garden Restaurant. Do: After breakfast you can go on a tour of the city exploring sites that feature in the original books as well as the Sherlock television series and movie adaptations. 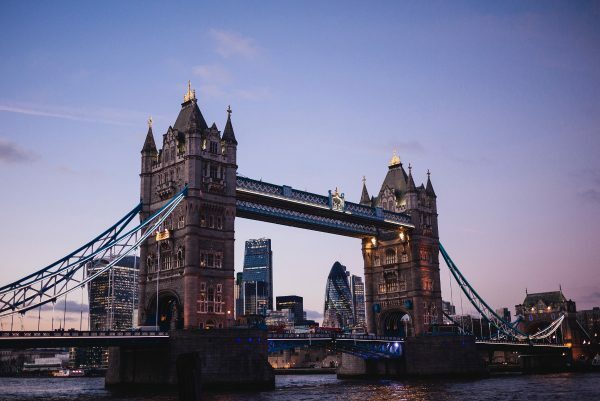 You will also hear about actual places that inspired Sir Arthur Conan Doyle, can take lots of photos and marvel at the fact that Sherlock could never have got from the Houses of Parliament to Tower Bridge so quickly in real life as he did in the Guy Ritchie film version! Or, if you would prefer a cheaper do-it-yourself option you could follow On the Luce’s self-guided walking tour (with a handy map). Eat: Depending on which tour company you use you might end up in North Gower Street which stands in for Baker Street during the filming of Sherlock. Otherwise you can easily get the tube to Euston Square and it’s just around the corner. Next door to the door they use for filming (which you might like to have a selfie outside of, since you can’t do it quite the same way at the actual 221B Baker Street) is the real-life Speedy’s Cafe, a perfect spot for lunch! 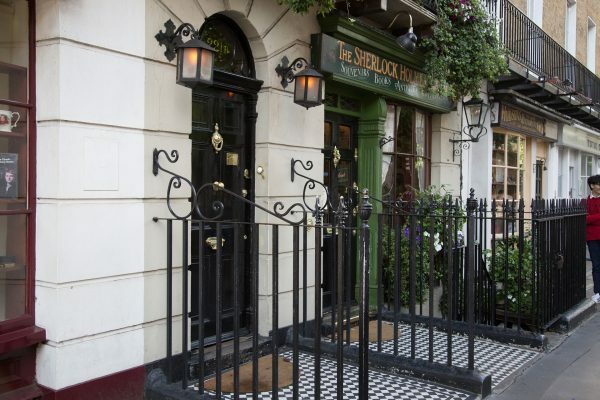 Do: Afterwards, head to the real Baker Street to visit the Sherlock Holmes Museum which is fascinating. It also features a really awesome gift shop so make sure you check it out and try not to buy everything (which is hard). I’ve written more about visiting the Sherlock Holmes museum here. 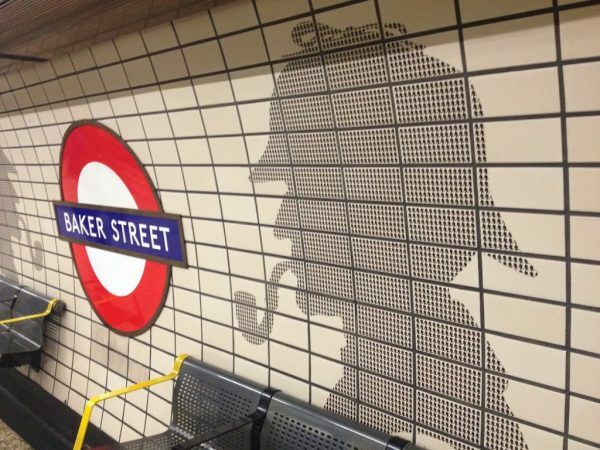 Don’t miss the cool Sherlock Holmes murals and statue at the Baker Street station either. Afterwards, you can head to Madame Tussauds (which is within walking distance) for their special Sherlock Holmes experience. You can also have selfies with both their Robert Downey Jr. and Benedict Cumberbatch waxwork figures! 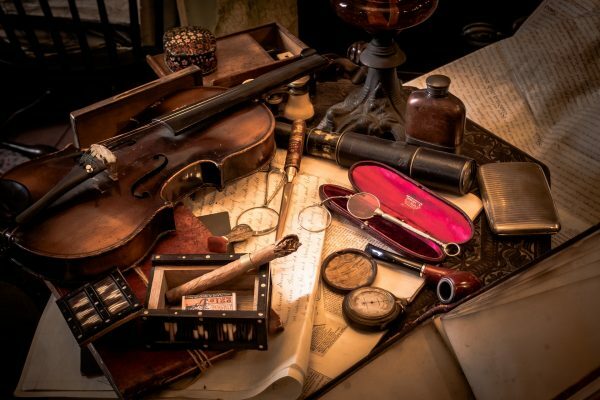 Do: For a fun ‘sleuth-y’ activity why not have a go at the Sherlock Holmes escape room!? Escape rooms are all the rage lately, and this one is the official one created by Steven Moffat and Mark Gatiss, with original content from the stars of the show! Eat: Have dinner at the original Sherlock Holmes’s favourite restaurant; Simpson’s in the Strand. This isn’t the most budget of eating choices, but you are guaranteed to have some truly mouthwatering traditional English fare – and they do daily carving trolleys of traditional roast dinners with all the trimmings! Or you could always choose one of the two options I suggested for Friday night. Drink: If you’d like a nightcap after dinner then you might like to try Doctor Klugers, a ‘secret’ bar behind the Canary Wharf Breakfast Club. The decor reminds me of Sherlock’s loungeroom crossed with the inside of the Tardis, so it’s perfect for lovers of these two franchises! If you don’t feel like going to Canary Wharf then Callooh Callay also features a bar-within-a-bar as well as decor (and a name) that I think the Doctor would love. Or if you’d rather still feel a little like Sherlock Holmes investigating cases then Gordon’s Wine Bar is suitably atmospheric; with a sloped ceiling and the sound of trains shaking the walls occasionally, parts of it even look and feel a bit like a dungeon! Eat: Grab something either at your accommodation or nearby, or if you are an early riser then you could go to Borough Markets for breakfast since it is right by where you will meet for your tour. Do: You’ve done a Sherlock Holmes tour, now visit famous filming locations in London from Doctor Who! 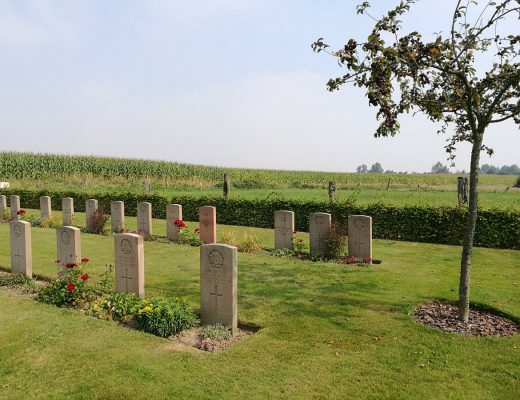 This tour will take you to lots of sites that you’ll recognise from the long-running series. If you’re feeling that you have done enough touring you might alternatively like to visit the blue Police Public Call Box that can be found outside Earls Court station, for a selfie with the TARDIS! Fun fact, if you go into Google street view and click on this call box it actually takes you into the interior of the Tardis, so you can have fun playing around with that at home. There is also apparently a rather beat-up looking Police Call Box in the Winston Churchill Britain at War Rooms, so if you want to combine a bit of history and Doctor Who you could visit this attraction; which is also nearby to Borough Markets. Eat: If you’re still in the area you could also grab lunch at Borough Markets or nearby, before hopping on a train from London Bridge to Upton Park. Do: At Upton Park station you can walk a few streets to come to The Who Shop! Both a shop and a mini-museum – it has a museum section with lots of props, costumes and other things that were used in the filming of Doctor Who; as well as items from other television shows and movies such as “Buffy” and “The Fifth Element”. Of course, the shop is a very popular attraction (despite being a bit out of the way) for Doctor Who fans, and you will find more Doctor Who things to buy than you can possibly imagine! From costumes to Christmas decorations, signed posters of the stars to bedding, there’s something for everyone (and you can check it out online too). Psst! Are you also into Harry Potter? Make sure you also check out the guide to a Harry Potter weekend in London if you’re staying longer or want to combine some highlights from both guides for your own trip! Can you think of any other must-sees in London for fans of Sherlock Holmes and/or Doctor Who? Let me know in the comments and don’t forget to pin one of these for your own planning later! Thanks Rajlakshmi! Hope you get to see them one day! great list! Makes me want to book a weekend to London! I love London. I try to go there at least once a year. This is a great guide for Sherlock Holmes and Doctor Who fans! Love both of these shows! We went to the Doctor Who Experience right before it closed and got a tour of the set at BBC Wales Studio! Talk about a once in a lifetime experience 😛 Can’t wait to do some of these things on your list. Thanks a ton for putting it together! Haha this is so amazing <3 I am a huge nerd myself and I love love love all of those things you've listed! I'll definitely try that escape room next time I'm in London. We are huge Dr Who fans in our house. I have to admit a little bit of pride that my children love all things sci-fi. I am yet to introduce them to Sherlock Holmes, however I know as they love the actors from Sherlock, they will love it as much as I do. Whilst they might be a bit young to enjoy all this weekend has to offer I know I would. Yes I think Sherlock is something that needs to wait for kids to be a bit bigger, but it will be great to share it with them when they are old enough! How awesome your kids are into everything sci-fi, hopefully my (future) kids will be (or they will be whether they want to or not)! I’m a huge Sherlock Holmes fan and have been to a couple Holmes locations but the escape room sounds like so much fun! I love Holmes and WHO! Can’t wait to get back to London! Really cool article! 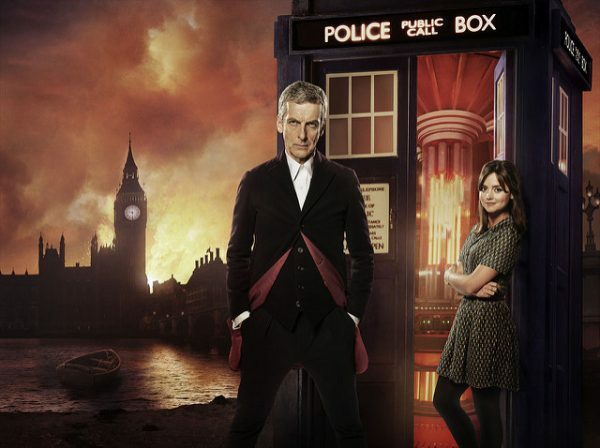 Not so much into Dr Who but Sherlock could be a great excuse for me to book to London!